MIAMI - Officials say a Florida trapper has captured a record-setting python as part of a program to remove the invasive species from the Everglades. 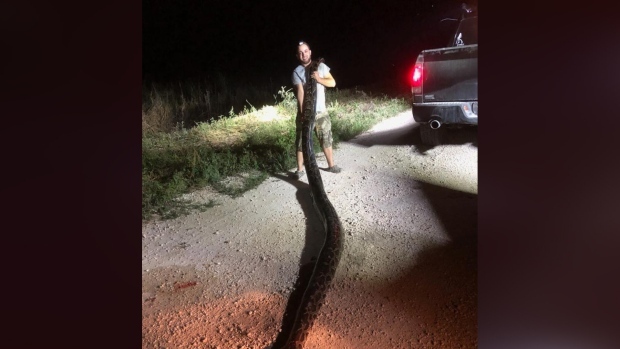 A South Florida Water Management District news release says Kyle Penniston captured a 5.3-metre female Burmese python while hunting on district lands in Miami-Dade County late Monday. Officials say the snake weighed in at 54 kilograms. It's the third caught as part of the Python Elimination Program that measured more than 17 feet.